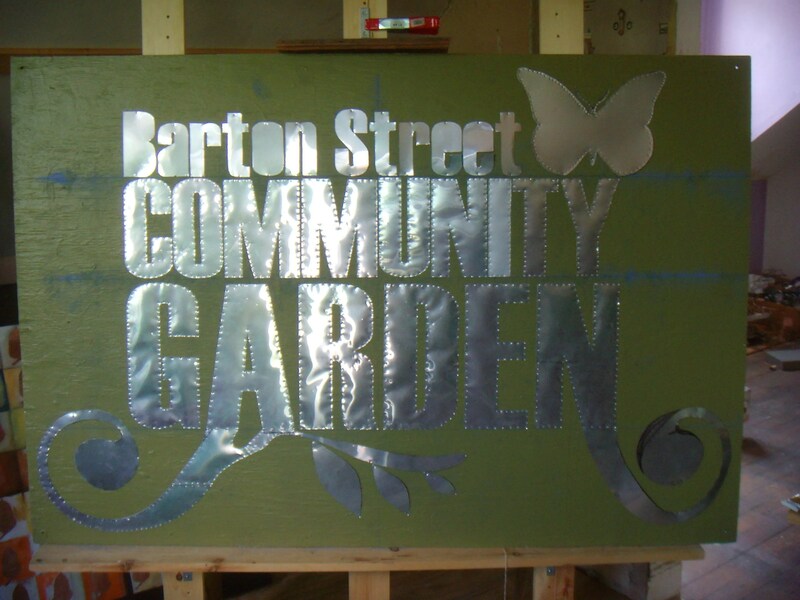 This is a picture of the sign Keri and I designed for the community garden that we’re helping out at. I actually finished hammering it all together a couple days ago. The sign will be installed next Tuesday.